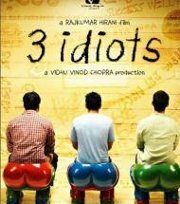 A lighthearted and entertaining journey of three friends as they try to figure themselves out and share unforgettable experiences. Two friends are on a hunt for another friend, a maverick who changed their way of looking at the world. They move back in time to their college days, to his relationship with a pretty young woman, and their tyrannical teacher. They also have to deal with a bet made in the days gone by, a wedding, and a funeral. In Hindi language with English subtitles. We should patent this idea.